BREAKING! Meizu M2 Down To 4999 Pesos! Comes With Solid Specs For The Price! Home / meizu / mobile / news / BREAKING! 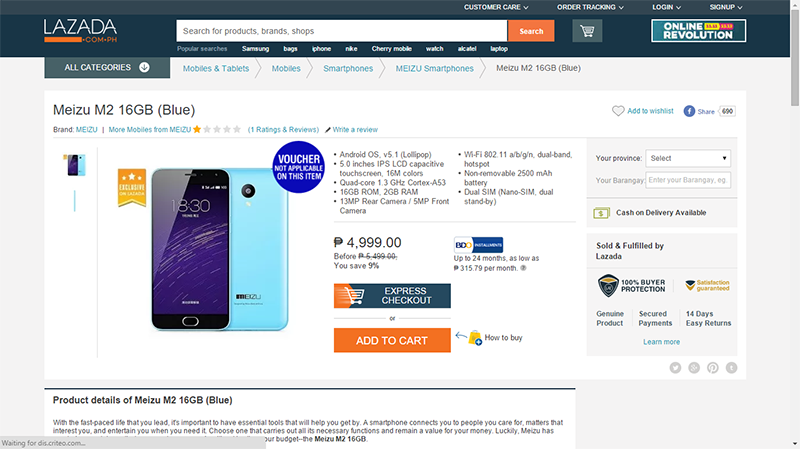 Meizu M2 Down To 4999 Pesos! Comes With Solid Specs For The Price! If you think that Meizu M2 Note is already extremely affordable at 5,499 Pesos? Think again! Meizu decided to cut the price of this hot device by slashing 500 Pesos more of its original price tag. That makes the Meizu M2 Note the most affordable 5 inch handset with 2 GB RAM, 64 bit quad core processor and LTE connectivity coming from a well respected international brand with great user interface. Given that specs and price, this would be great for multimedia guys and gamers on a budget. What do you think guys?